Antique Portable Mangle late Victorian/turn of the century. these small clothes wringers fixed onto wash tubs. 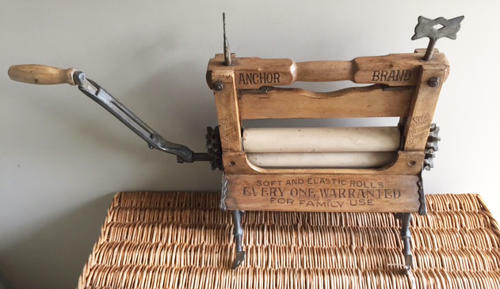 This example has great lettering and the cloth rollers are in great condition. Would look great fixed on a kitchen wall.